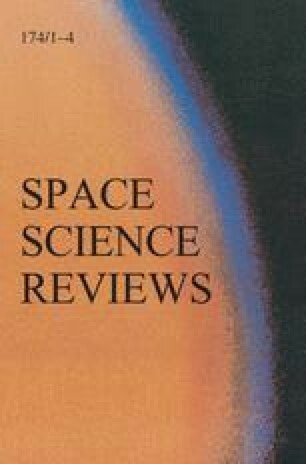 Ongoing research on martian meteorites and a new set of observations of carbonate minerals provided by an unprecedented series of robotic missions to Mars in the past 15 years help define new constraints on the history of martian climate with important crosscutting themes including: the CO2 budget of Mars, the role of Mg-, Fe-rich fluids on Mars, and the interplay between carbonate formation and acidity. Carbonate minerals have now been identified in a wide range of localities on Mars as well as in several martian meteorites. The martian meteorites contain carbonates in low abundances (<1 vol.%) and with a wide range of chemistries. Carbonates have also been identified by remote sensing instruments on orbiting spacecraft in several surface locations as well as in low concentrations (2–5 wt.%) in the martian dust. The Spirit rover also identified an outcrop with 16 to 34 wt.% carbonate material in the Columbia Hills of Gusev Crater that strongly resembled the composition of carbonate found in martian meteorite ALH 84001. Finally, the Phoenix lander identified concentrations of 3–6 wt.% carbonate in the soils of the northern plains. The carbonates discovered to date do not clearly indicate the past presence of a dense Noachian atmosphere, but instead suggest localized hydrothermal aqueous environments with limited water availability that existed primarily in the early to mid-Noachian followed by low levels of carbonate formation from thin films of transient water from the late Noachian to the present. The prevalence of carbonate along with evidence for active carbonate precipitation suggests that a global acidic chemistry is unlikely and a more complex relationship between acidity and carbonate formation is present. Thoughtful reviews were provided by Ralph Harvey and Jim Bell which greatly improved the manuscript. Thanks to M. Toplis and the ISSI conference organizers for coordinating this review and promoting interesting discussions. E. Chassefière acknowledges support from CNRS EPOV interdisciplinary program.